Guaranteeing a steady stride, these waterproof sandals feature a cushioned, shock absorbing midsole and a nonskid outer sole that ensures traction while preserving floors. All day comfort for your precious one wet or dry. When choose size using shoe length provided (mm), minus 10 mm will be the feet length. Extra wide feet are recommended to choose 1/2 US size up. These are cute and fun sandals. Fun designs for children. 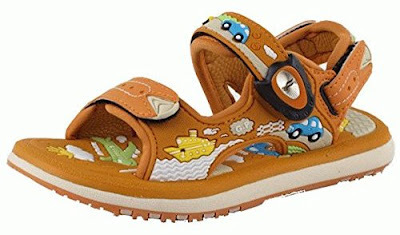 I was happy to try these out because my son is always complaining about other sandals hurting his feet and he's only four so the magnetic strap lock is a great feature for a young boy. They're a good fit, well made and seem very durable. I do like that they are slip resistant and flexible. My son is able to run around with no problems, and the magnetic strap doesn't come undone. They're great to have around a pool area or water park. I do like the feature of the back strap coming completely off, making them slip-ons. But, the only negatives I could find about these sandals is that when I did take the back strap off to test it, it was extremely difficult to put it back on. It took me awhile to get the strap back through the two slots. 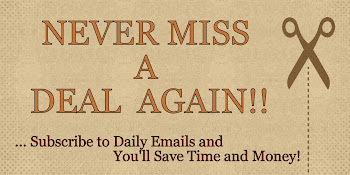 And, I do feel like they may be a little pricy for some people. Overall though, I like them. They're very functional and they allow my son to easily put them on himself. 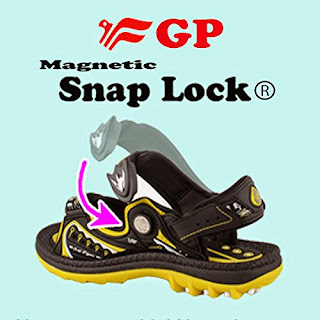 If you would like to try these Toddler/Kids Easy Magnetic Closure (Snap Lock¨) Outdoor/Water Sandals for yourself, you can purchase it right now from Amazon!